Muskogee, Oklahoma – The United States Attorney’s Office for the Eastern District of Oklahoma, announced today that JUSTIN SLATE THRONEBERRY, age 32, of Ardmore, Oklahoma, was sentenced to 3 years of probation for Delay Or Destruction Of Mail By a Postal Employee, in violation of Title 18, United States Code, Section 1703. The charge arose from an investigation by the United States Postal Inspection Service, Office of Inspector General. The defendant was indicted in March 2014 and pled guilty in May 2014. 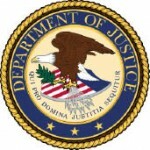 The Indictment alleged that on or about December 19, 2013 in the Eastern District of Oklahoma, the Defendant, a United States Postal Service employee, did willfully, knowingly and unlawfully secrete, destroy, detain and open a package entrusted to him and which came into his possession to be conveyed by mail while performing his assigned duties as an employee of the United States Postal Service.